Honoring the boys in blue: Pictured are (from left) Officer John Vincent, Captain Robert Ritchie and Officer Robert Sellers. 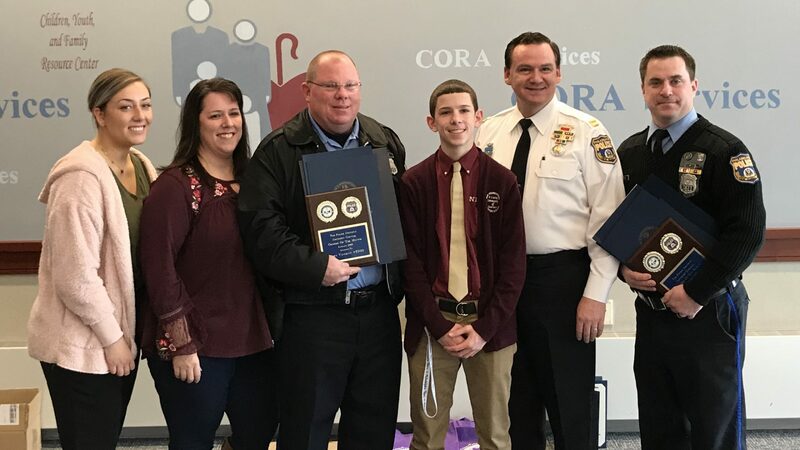 As two pit bulls mauled a 71-year-old woman and her poodle on Jan. 7, two 7th Police District officers arrived on the scene on the 1900 block of Goodnaw St. in Bustleton. Both officers fired their weapons at the attacking dogs, who had killed another dog in December. 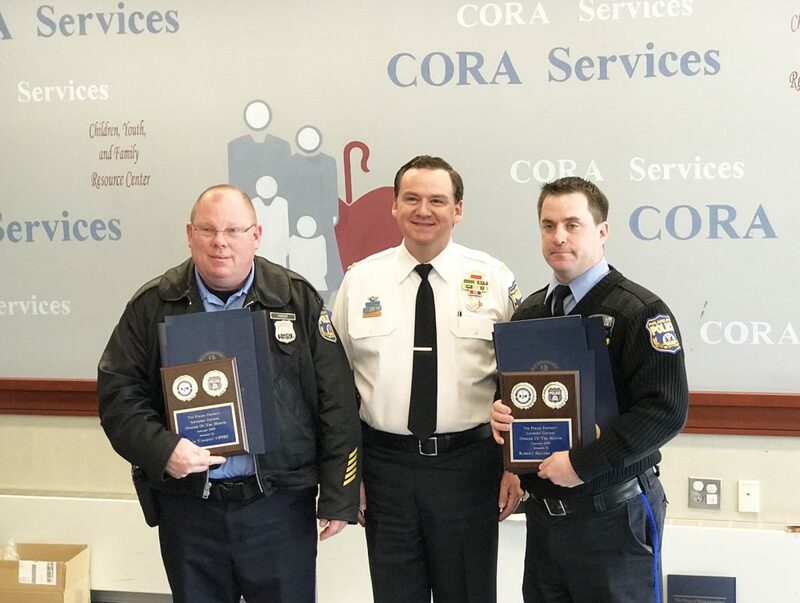 For their efforts Officers Robert Sellers and John Vincent were honored as Officers of the Month for January at the 7th Police District Advisory Committee’s monthly meeting. One pit bull attacked Sellers, who shot the aggressive animal in the head. The other pit bull still had a hold on the poodle and its owner. The pit bull started to pull the victims onto the grass behind a car parked on the street. Vincent shot the attacking dog in the side. The poodle died of its injuries. The pit bulls initially survived the gunshots but were later euthanized.